The board monitors both internal and external technologies to guide current NetMass technology implementation. The tech advisors help shape both acquisition and partnership initiatives. By bringing in outside experts from a variety of fields, NetMass strengthens its technology approach. 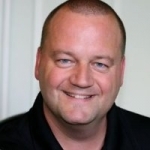 President and CTO, Perkins continuously innovates to enhance the strategic position of NetMass. He closely monitors the potential impact of new technologies to his customer’s businesses. He and his teams integrate solutions to provide easy access to the best data protection technologies available. Perkins holds a Ph.D. in Computer Science from Michigan State University, where he taught Introduction to Computing, Algorithms and Computing, Data Structures and Programming, and Operating Systems. His dissertation on Noise Tolerant Compression Protocols for Wireless Environments was published in 1997. He holds a Master of Science and Bachelor of Science in Computer Science from Texas A&M University. Perkins served as a computer programmer in conjunction with NASA and Texas A&M RECON for group modeling of closed-environment life support systems for the space shuttle. Before co-founding NetMass in 1998, Perkins spent 13 years at Texas Instruments in Dallas, TX. There, he worked in the Communications Systems Engineering branch of the Digital Signal Processing Research and Development Lab. His duties included development of real-time embedded systems for communications platforms such as cable modems, xDSL, and residential Ethernet. He sat on several standards boards and helped shape industry standards for several residential broadband technologies. Apart from NetMass, Perkins is an independent consultant specializing in the implementation of disaster recovery and business continuity plans. 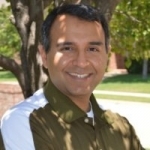 His is also a part-time adjunct lecturer with the Department of Computer Science at the University of Texas at Dallas. When not working, Perkins volunteers at various venues to program and run advanced theatre and concert lighting consoles. When you’ve been responsible for everything from routers, switches, and firewalls to training and support of a 3000+ user base of nurses and other caretakers, the last thing you need is to have to track down your backup and archiving support. For maximum reliability and uptime, healthcare and hospital professionals have relied on Jon Jackson since 2003. In turn, Jon has for years counted on NetMass backup and data archiving services. He became an advocate of NetMass when it consistently passed the test of always-on support. Jon brings to the NetMass Technical Advisory Board his valuable experience in handling high-severity incidents. The team also benefits from Jon’s intensive background in user provisioning and terminal services for a regional medical center. Today, as Founder of Techknowledgeable, Jon provides custom configuration and data protection to several Dallas-area growing businesses, including large medical practices. Kevin Miller, President, Qualtx Technology, Inc.
What sort of vision does an engineering consultant bring as a tech-advisory board member to NetMass? When that engineer has provided custom control system software and system retrofits for the likes of MIT, NASA Jet Propulsion Labs, Lockheed Martin, AMD, Texas Instruments, the US Navy Night Vision Labs, and dozens of other world-class companies–we’d say, laser-sharp vision! 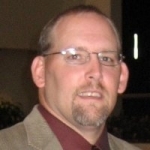 Since 1997 Kevin Miller of Qualtx Technology provides turn-key control system solutions for the semiconductor industry. Kevin increases the value and life of onsite process equipment by using full source code and non-proprietary components. 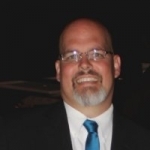 Kevin has deep experience with non-profit and small-business technology needs as well. Imagine protecting a membership of 2500, having technology requiring 85 systems, and hundreds of volunteers needing various levels of access and time tracking: Kevin keeps that non-profit fully functioning. Given Kevin’s engineering advisory input, NetMass customers can rest assured that the hardware holding their data storage and archives is of exceptional quality. Moreover, Kevin provides tactical insight to the NetMass team for configuring and protecting non-profits and small businesses. In the world of enterprise servers, large-scale windows, and complex software integration, Larry Nail is a little like the Greek god, Atlas: He holds up the celestial spheres of data delivery, security, and system backup. He’s well suited to the task, because he bulked up while supporting 35,000 desktops of a Fortune 500 technology manufacturing and operations company. Today Larry’s build-to-suit consulting projects provide data-center protection to companies of all sizes. Where a company’s lifeblood data is concerned, you can’t just say you’ll ensure data access at a certain rate. You must work in the realm of service-level agreements and you’re responsible for proof of concept throughout. Larry notes, “You learn who should have access to what, and how much. You capture applications. You identify the support team for corporate servers, and you provide for both accessible documents usage and disaster recovery scenarios.” Once he knows who the caretakers are and what secure provisioning parameters are needed, Larry delivers backup, archiving, scalability, and the assurance of rapid recovery. As a member of the tech advisory board Larry brings Fortune 500 global insights to both NetMass product development and to customer service strategies. For business continuity planning and compliant data archiving, corporate-level tech industry leaders depend on Vishal Mehra. Vishal tackles tech issues across functions by first understanding both the business objectives and the obstacles at hand. Only then does he shape compliant server database storage and archiving solutions. In 15 years of operational experience, Vishal has mastered the skills required to lead a world-class team of system engineers and strategists. As a member of the NetMass Advisory Board, Vishal brings Fortune 500 global insights to NetMass product development and customer service strategies.